Vilicus Farms practices advanced land stewardship at a scale that matters. Over 26% of the farm is in non-crop conservation and habitat. Vilicus Farms’ cropping system allows for us to farm alongside of Nature’s systems and mirror Her processes for sustainable food production. Organic production isn’t just growing food without chemical inputs. It’s a system that requires improving soil, water and associated resources while producing safe and healthy food for a growing population of informed consumers. Vilicus Farms grows crops on five- and seven-year rotations, that include annuals, biennials, and perennials. 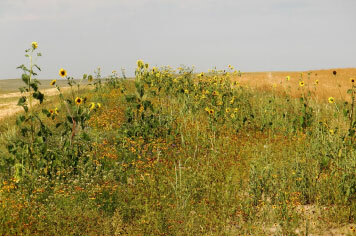 In combination with strip cropping, this significantly increases biodiversity in each field. Crop diversity is a vital component of Vilicus Farms’ commitment to sustainable systems that mirror Nature’s diversity and resiliency. Vilicus Farms seeds 20+/- crops each year. In 2018, 25 species were seeded, 15 of which were crops for harvest. 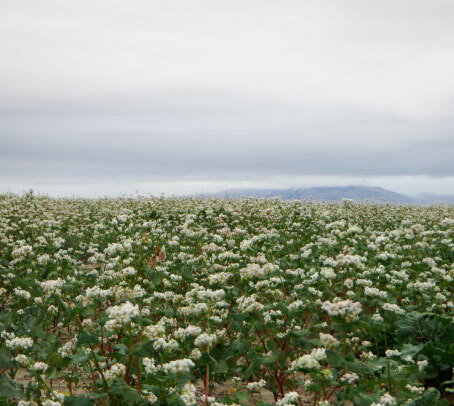 Often called “green manure,” cover crops can be legumes, grasses, or broadleaves that restore soil nutrients and minerals, and increase organic matter and microbial activity in the soil. 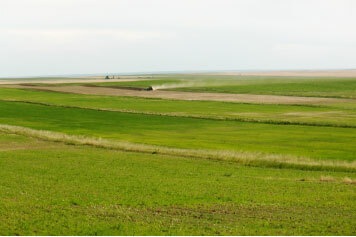 In the Northern Great Plains ecosystem bare ground is not one of Nature’s practices. Cover crops provide a natural and vital ground cover during fallow periods, which preserve and enhance soil productivity naturally. Our cover crops are either a single species, such as chickling vetch, or an eight cover crop cocktail mix of species depending on the needs of the field. 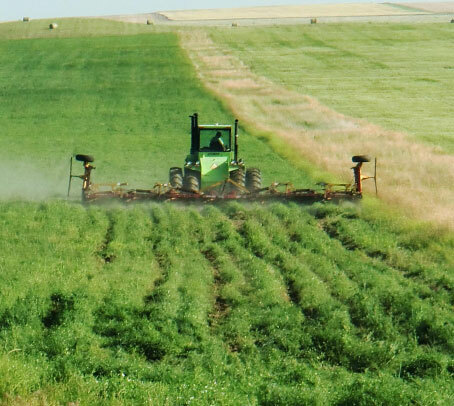 At Vilicus Farms appropriate tillage is an indispensible part of soil, cover crop, and weed management. Our typical practice for cover crop termination utilizes a blade plow to cut the plants roots off just below the surface leaving above ground biomass and the below ground root system largely undisturbed. The resulting above ground plant mulch protects the soil from erosion, preserves soil moisture, and inhibits weed growth. 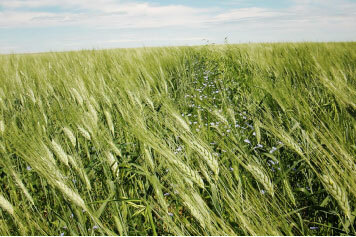 Vilicus Farms is committed to sustainability in all areas of the farm operation including renewable energy. 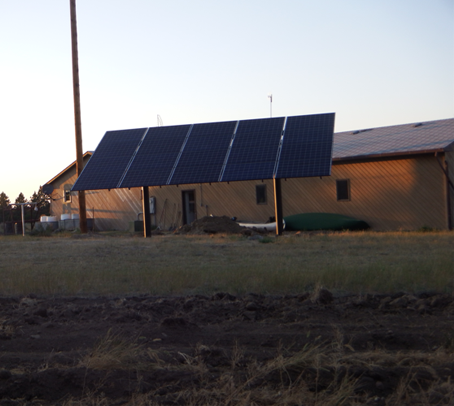 In July of 2015 the Farm Headquarters became partially powered by a 5.2kW photovoltaic system. We installed one of the first grid-intertie systems on Hill County Electric Cooperative’s system. The system was partially funded by a USDA REAP grant. Bear Paw Development Corporation provided significant support in the grant application process http://www.bearpaw.org. We have also established a partnership with the Montana Biofuels Exchange to incorporate bio diesel into our farm fuel. 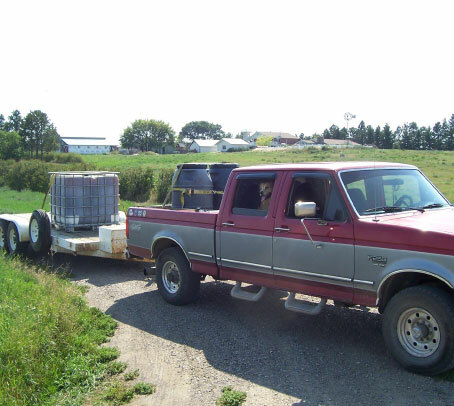 Organic matter in the soil at Vilicus Farms has increased on average 3.2% each year.